The SH-6 Bridge - Gold is currently in stock. Orders placed now will normally ship same or next business day. 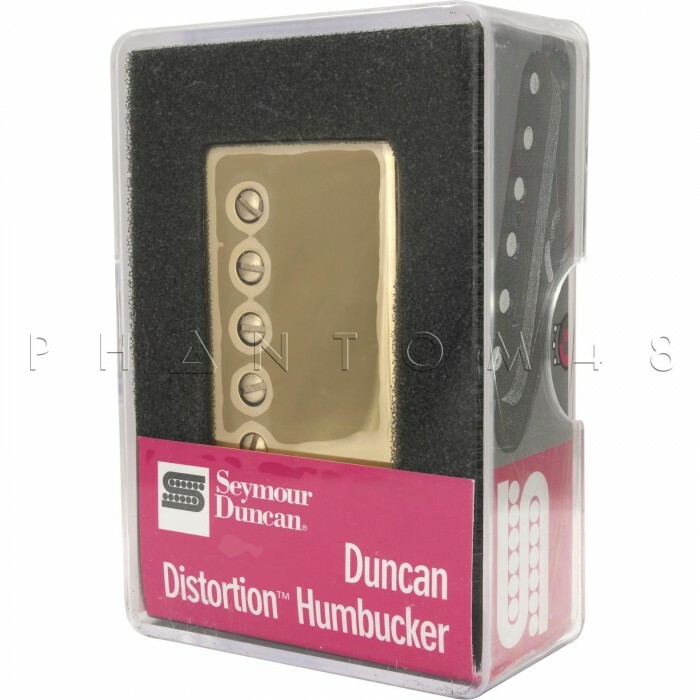 This matched duo of SH-6 Duncan Distortion™ humbuckers delivers tremendous power for raw, distorted, heavy rock tone. Duncan Distortions™ combine massive ceramic magnets with a pair of over-wound coils for the ultimate heavy guitar sound. With one pickup specially calibrated for the bridge position and the other for the neck, this matched pair lets you go from chunky, low-end, power chords to raging leads with aggressive harmonics. These pickups are perfect for drop-tunings, and both include four-conductor wiring for trick switching options. 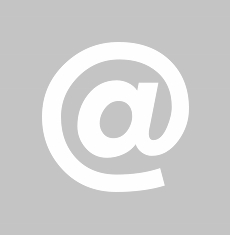 A wiring diagram and mounting hardware are included. 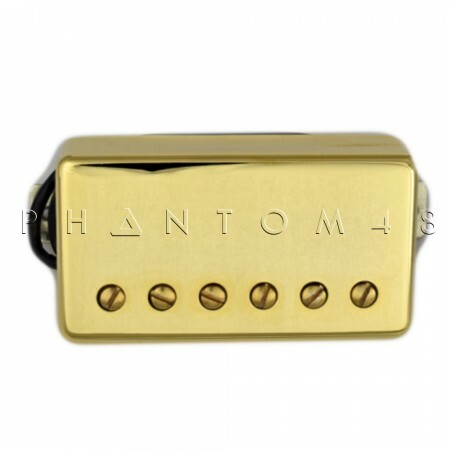 The bridge model is designed for bridges with traditional string spacing of 1.925" or 48.9mm measured over the bridge pickup.